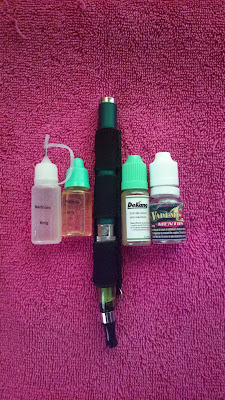 Home / Technology / Vape / To Vape or Not to Vape? Vape is an electronic cigarette intended to replace real cigarettes and help smokers quit smoking by imitating several cigarette features including puffing smoke and that distinct sometimes mentholated taste. E-cigarette is a billion dollar industry now with countless or vape brands available in the market today. But the question is? Does vaping actually work? Is it worth using for whatever purpose you intend it for? Supposedly, vaping eliminates risks associated with smoking because the smoke coming out of vaporizers and its taste are not nicotine based. These electronically powered devices merely imitate the urge to puff smoke and replace cigarette taste with artificial ingredients. The vape user is then technically not quitting smoking but only replaces the actual cigarette product with an alternative. It’s similar with replacing cigarette with candy except that there’s no puffing or cigar taste present in candy. With vape, the underlying problem is still present: the smoker is still dependent on smoking for whatever supposed benefit it provides such as it relaxes, relieves stress, aides in digestion or promotes bowel movement, becomes a simple past time during work breaks, and so on. So the issue is more psychological in nature. Thus, I believe specialists in counseling such as a life coach can also work wonders when it comes to quitting smoking. But whether vaping works or not will be dependent on the user. The experience varies from one person to another and for someone dear to me; he actually stopped using vape and sadly reverted to old smoking habits. If you’d like to try vape anyway, there’s no harm in trying. What didn’t work for one, may actually work for another.